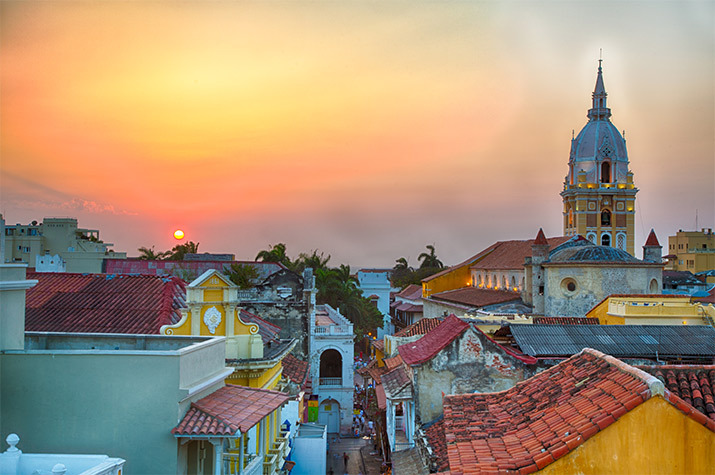 Colombia is a safe, the people are friendly, the food is amazing, the natural landscape is beautiful and there is no shortage of family friendly fun. Your next family vacation should be to Colombia. Here are six things that you need to do while you’re there. Taking a local cooking lesson is one of the best ways to connect with a place and Colombia is no different. Bogota is a great city for this. You can learn how to make the signature dish of the city a chicken and potato soup called ajiaco. These classes often involve trips to the market with a local. Kids always have fun picking out ingredients and getting to work in the kitchen. It’s a great activity that will introduce them to the local culture in a hands-on way and they’ll also learn something! The Colombian countryside is a beautiful and diverse place. The lush mountains and jungles will bring out the adventure in anyone. The coffee region in particular is a great place to explore. This is where the world’s best coffee is cultivated. You can visit a coffee farm and learn about the process of growing and producing coffee. This is another hands-on activity that kids will love! 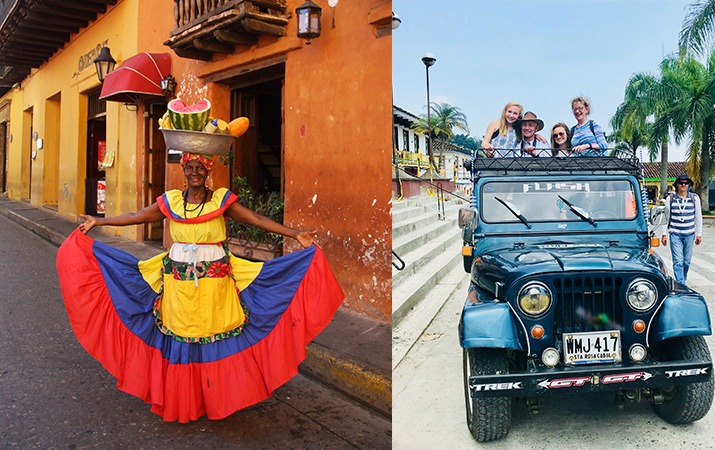 There are a lot of fun ways to explore the coffee region from jeep rides over the hills to horseback rides through thick jungle. Tejo is the national game of Colombia. It is a lot of fun and easy to learn. It involves tossing a weighted disc, underhand, at a target across from you. But unlike most games of this variety, when you hit the target a small firecracker goes off! This is a great game for your family to learn and play together. The Caribbean coast of Colombia is laid back and gorgeous. Just off the coast of Cartagena are the Rosario Islands. Taking a day trip out to the islands will be a highlight of your adventure. You can swim, kayak, snorkel or simply relax on the beach and soak in the sun. With a lot of different options to enjoy the crystal clear blue waters every member of your family will have something fun and exciting to do. This is always one of the most enriching experiences of any international trip for kids. Showing them where kids the same age as them go to school provides a strong contrast to what they know and often makes them appreciate what they have at home. This is also a great opportunity for your kids to meet local kids. These sometimes turn into lifelong friendships. Thanks to See the World contributor Beth O’Donnell, Thomson Family Adventures.